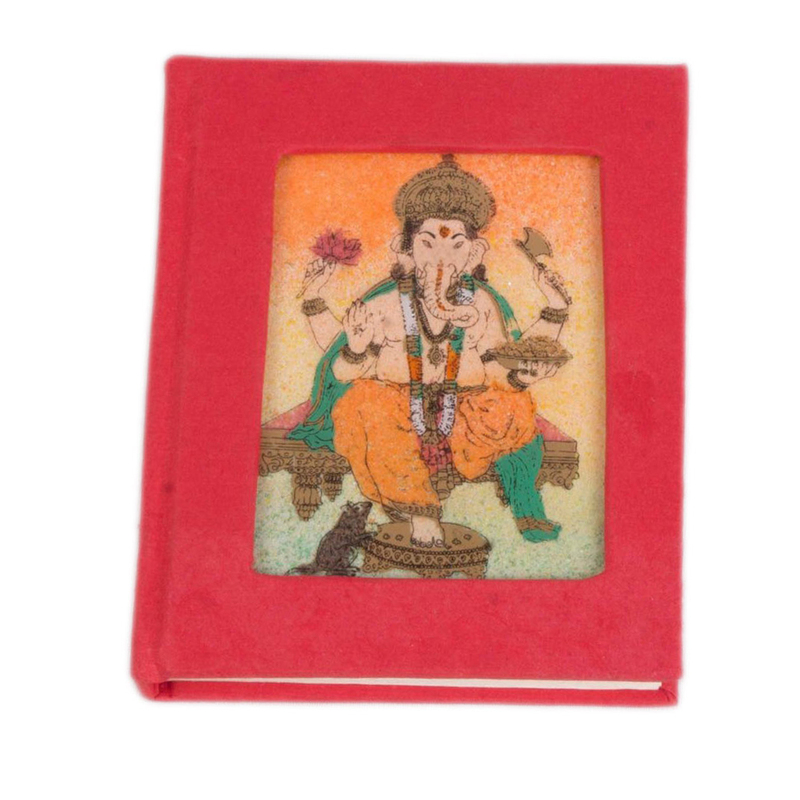 This gemstone painted diary can be ideal choice as a new year or birthday or corporate gift. The handmade papers used in it are very fine to write on & simultaneously venerate the rich Rajasthani art practiced. This notebook is something different in look from the traditional notebooks those are available in the market. 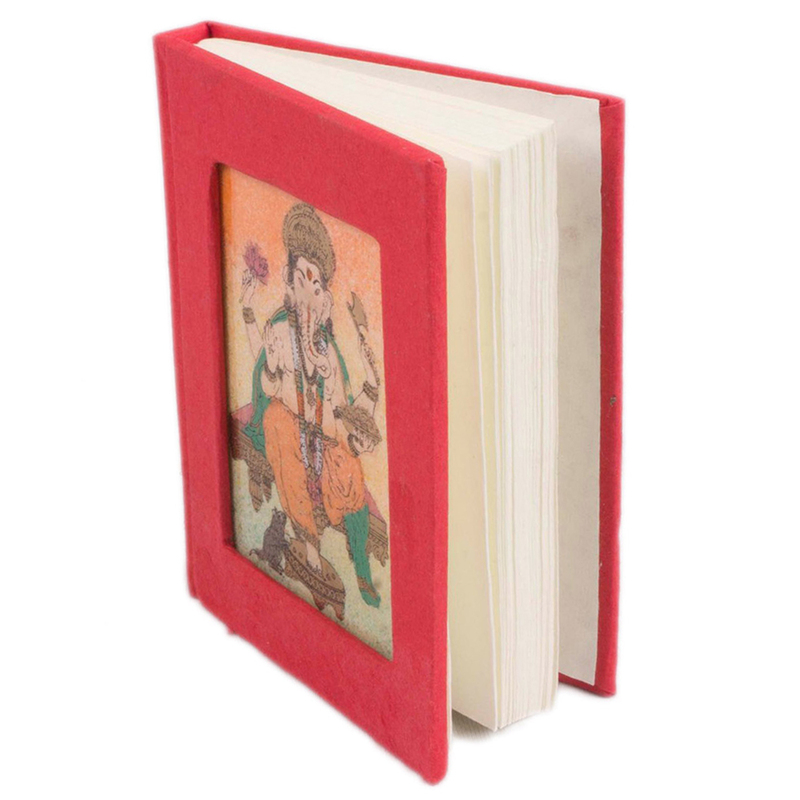 The red colored hard binding cover with a Read More..gemstone painted Ganesh idol on it is what make the notebook decorative & contemporary. The handmade paper of the diary combine both durability with quality & gives you the feel to write in the lap of luxury. This notebook is ideal as a New Year, Diwali or birthday gift. People, who are staunch aesthete of Rajasthani art, would love to get this notebook as gift from you. Pen down all your happy moments, feelings, creativity in this & worship the commendable effort of the artisan, who has put his everything to create this epic masterpiece! Show Less..